Unlike Practical Applications for Multiverse Theory, The Infinity of You & Me really nails the complex and unique challenges of dealing with multiple universes. Far more serious than its comedic counterpart, Infinity takes the reader on a journey through the multiple lives of a teenage girl. The descriptive writing used for this task was quite adept at conveying the transition between worlds, as well as the numerous dystopian scenarios present within them. Clearly, the Sylvia Plath poems the main character holds dear also influenced the author’s writing style. As I’ve said before, I’m not a fan of the young adult genre, especially when it devolves to cliches. This book managed to reside in that young adult genre, but successfully told a story that didn’t make me roll my eyes in annoyance. Sure, the elements were there, but they were handled much more subtly, almost in the vein of how The Hunger Games did it years ago. The complexity of the internal struggle of the main character really made her come alive. Her growth by the end of the book was significant and made me enjoy reading this book. While it’s almost perfect, there are still a few weaknesses in this book. Early on, it was difficult for me to figure out that the other multiverse worlds were taking place in the same timeframe, and not in the past. Furthermore, there were some sections that didn’t make as much sense as I would have liked, but I suspect that’s also a limitation of dealing with the multiverse as your main topic. Despite all these things, the story is solid and the characters are complex and understandable. 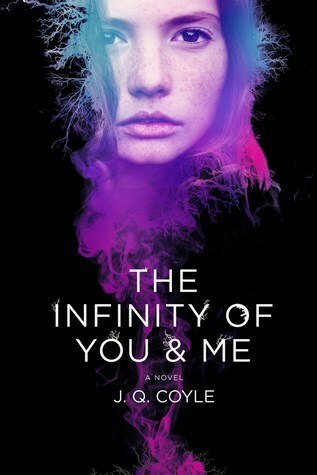 Perhaps the best fictional account of the multiverse I’ve ever read, I give The Infinity of You & Me 4.5 stars out of 5.